You started your business with the cash in your bank account, and you have made it to this point on your own. It stings, but you can no longer afford to take large purchases from your personal funds. Where do you turn for financing? For decades small businesses have chosen their local bank to meet their financial needs. In fact, it is still the number one choice for loans. However, times have changed and the local bank is not always as welcoming as it once was. Strict qualification requirements make the application process much longer and more difficult than it used to be. Up front costs come with no promise of a loan. It can be weeks or months before you even know whether you will receive the loan you requested. To meet the need for quicker and easier financing, a new industry has emerged. Alternative lenders have established online companies where small business owners may quickly apply for short- and long-term financing. Banks are still the best alternative when it comes to interest rates for small business loans. Because of the various ways banks can make money (personal and business checking accounts, merchant accounts, and various fees), they do not have to count on income from loan products as their only source of revenue. Alternative lenders have just one product — loans to small businesses. Because they have no other source of income and often use personal funds or borrowed funds to loan money to others, interest rates and other terms may be higher than bank loans. The time required to borrow from a local bank could be as much as four weeks or longer before you hear back from them, and then you can wait another four weeks to receive funding. Because loans are their only source of income, alternative lenders process applications within 24 hours. They usually provide funding within a week, but expedited funds can be available on the same day. Banks charge fees in a number of ways. • Origination fees. These are usually one-time fees based on a percentage of the amount requested. They are not refunded if you do not get the loan. • Application fees. A one-time nonrefundable fee charged to file the application. • APR. The annual percentage rate charged over the life of the loan. Alternative Lenders often only charge the monthly APR, but be sure to check the terms of any agreement you sign. It doesn’t matter if you want to apply for a term loan, an SBA loan, or a line of credit, they all require an application and completing the underwriting process for the lender you have chosen. Remember that you will face stricter underwriting requirements with a local bank than an alternative lender. Many banks require companies to be in business for at least two years. They may also request a detailed business plan, lists of business collateral, and personal credit scores for owners of the company. If you choose an alternative lender, they may require lower credit scores, may only look for a few months in business, and may not ask for a business plan at all. They often offer higher minimums of capital as well. Just remember that the APR on an alternative loan is often higher. Be sure you know how much your payment will be and whether it will fit within your budget. The best lending source is the one that fits your needs and that you qualify for. If your credit score and length of time in business meet the requirements of your local bank, then you may prefer to seek a loan through them. They would offer the best rates. The only thing to be aware of is applications for loans through local banks can take 4-8 weeks or longer to conclude. If your need is urgent, alternative banking sources are more likely to process your request quickly. Some will even fund your loan the day you apply. 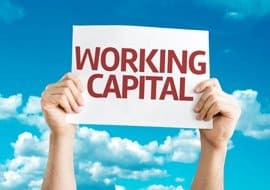 They are often easier to apply with and easier to qualify for; however, as expected you will typically pay a higher fee, but when you need working capital in a hurry and the banks have turned you down, alternative loan options are the only way to go. With all of the financial institutions and online alternative banking sources available to you, one is sure to offer you just the right combination of options. Take time to do your homework to get the best possible terms.